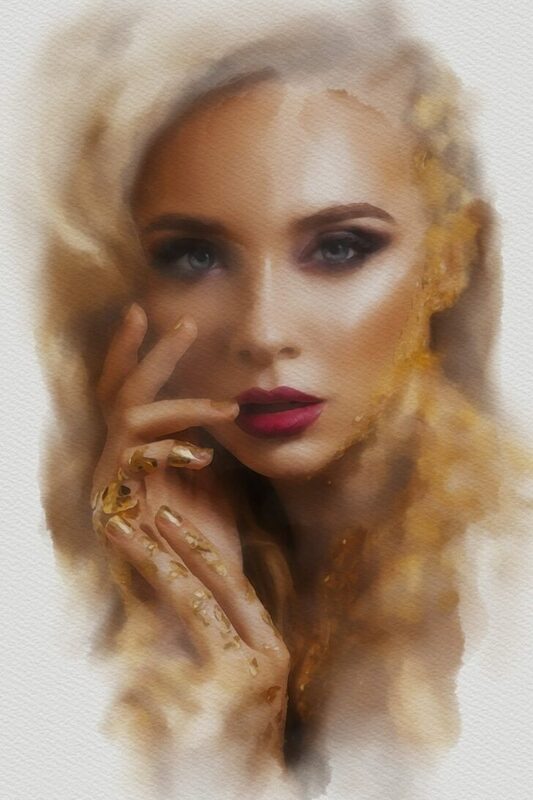 The process of creating images on a digital canvas is painstaking. It requires amazing attention to detail and a sixth sense on what appeals to the audience the most. Some may think that only a real pro can come up with such masterpieces. But with a little help from the right tools, you can produce high-quality images that even pros will appreciate. This Photoshop add-ons bundle is just the thing that will make your creative journey more productive. Consisting of 78 awesome Photoshop collections, this add-ons bundle is a dream come true for art enthusiasts and graphic artists. It has everything you need to breathe life into images. It lets you create unlimited designs with more than 4650 Photoshop overlays, shapes, masks, brushes and more. Only Pixelo offers the freedom to use this add-ons bundle for unlimited personal and commercial project with its license. So what do you do with over 4,650 plugins, overlays, brushes, actions and more? You make beautiful images with them. Turn regular images into classy paintings. A little drama is necessary to make your images have a strong impact on your audience. By turning regular images into painting, you can turn a regular design into a true masterpiece. Watercolor Profesional Painter 2 Action by ozonostudio creates 4 layers – the watercolor paper, the paint details, the non-detailed paint, and the pencil lines. From here, the possibilities are endless. You can use this action simply for added effects, or you can maximize its use to completely transform your main image. Paint Pro 5 Action, also by ozonostudio, gives you even more room for creativity. Aside from watercolor effects, you can turn images into masterpieces using pastel colors, acrylic paint, and a lot more. 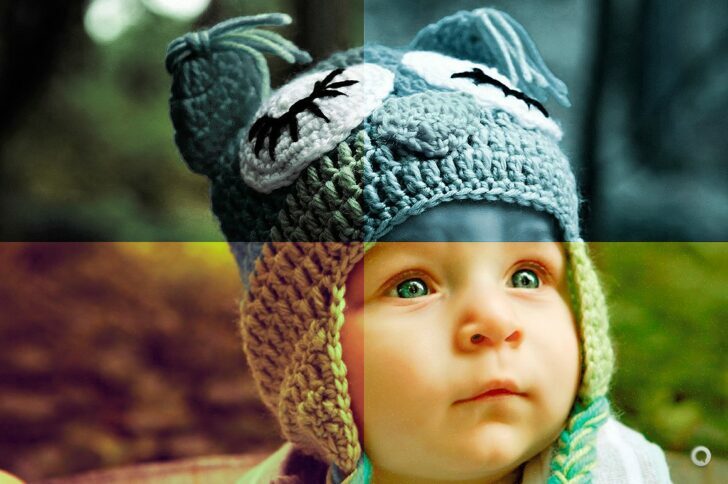 Paint Pro 3 also adds non-destructive actions that add an almost ethereal feel to any picture. Color is one of the most important elements in any design. It triggers an emotional response and sets the mood for the entire layout. But picking the right color schemes could be a challenge, especially if you want to create something unique. 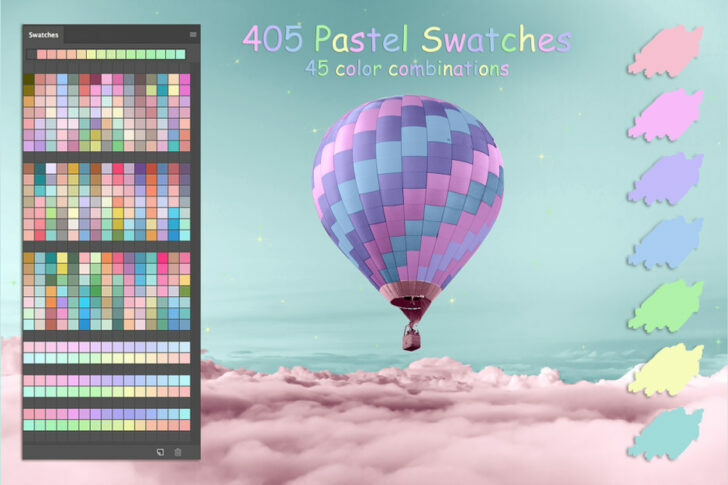 FaeryDesigns Pastel Color Swatches is an amazing tool in this regard. It’s not just about giving in to unicorn and fairy trends. It’s also useful when your design requires a soft touch, something daintier than your usual output. There are 45 color combinations here to choose from, and one of them is sure to be a perfect match for what you need. Mix reality and magic with special effects. Creating digital designs means adding a bit of magic to any plain image. 1045 Unique Photo Overlays Pack by FaeryDesign makes that possible. Add strokes, geometric shapes, fractals, spheres, and a lot more effects to create a unique flavor, or to simply add depth. Portalz Photoshop Action, Ruin Photoshop Action, Glowing Stars 2 Photoshop Action and Portrait Photoshop Action by AndriyFM are yet another group of special effects that add amazing elements into your images. You see, sometimes, it’s not just about enhancing what you already have. Sometimes, it is also about finding that perfect balance between reality and magic to create the most high impact images out there. Stray away from the usual brush effects. Brush effects are a favorite among graphic designers mostly because they add a bit of whimsy and a rustic feel to different designs. With its popularity, however, also comes the risk of making your designs look like everyone else’s. 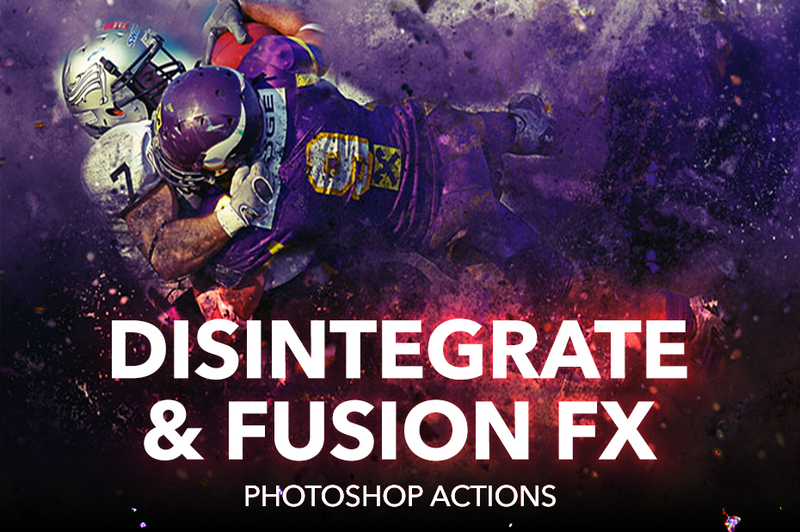 It’s a good thing this Photoshop add-ons bundle has quite a few brush effects that stray away from the usual. This allows you to take advantage of the strengths of brush effects while adding a bit more “Wow!” into it. Couture Brushes by FaeryDesign adds a crafty feel to your design with gems, buttons, and fancy stitches. If you want a more colorful ambience, then Artistic Brushes, also by FaeryDesign, would be a great choice. Jewelry Dynamic Brushes add elegance, especially if diamonds play a huge role in your theme. 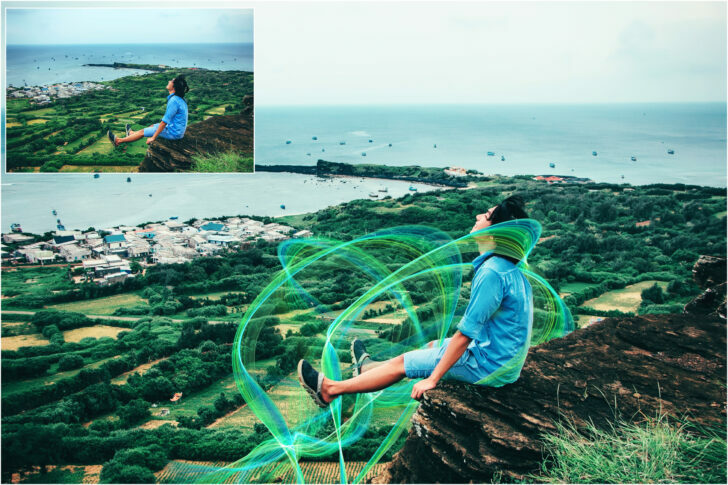 Enhance reality with the right photo effects. Just because you can alter reality with the amazing tools in this bundle does not mean that you should always go for the unreal. In fact, some projects require you to stick to reality. Of course, this bundle prepares you for this as well. 28 Photography Actions by ozonostudio, Haze Photoshop Action by AndriyFM and a lot of the other actions in this bundle provide amazing overlays and filters that will make your original images pop out from any page. With the huge number of things you can do with this entire add-ons bundle, it wouldn’t be a surprise if you start churning out masterpiece after masterpiece in no time.